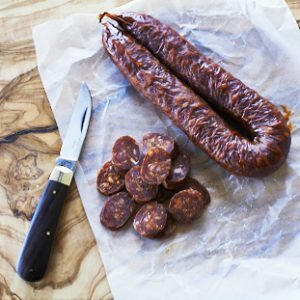 Curious and relatively unknown cheeses to surprise. 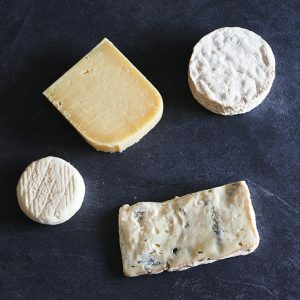 Four cheeses that are all relatively rare and unique creations in the UK, but are fast become firm favourites. 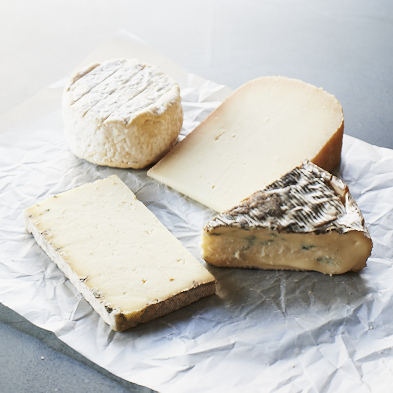 Slightly curious and different, together they provide a flavoursome and balanced cheese selection: a unique goats’ Gouda style made on the farm in Ireland, Killeen, the crumbly fresh Anster, a rich soft ‘triple cream’: Finn, and the creamy Cote Hill Blue. Killeen. Pasteurised goats’ milk. 250g. Leaving Holland in search of the Irish ‘good-life’, Marion Roeleveld developed this goats’ milk Gouda with milk given by her own goats. 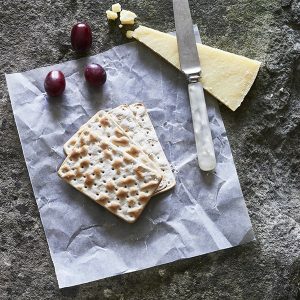 Killeen is aged in-house by The Courtyard Dairy for 11 months; the cheese develops a greater depth of flavour as the sweetness and toasty-roasted hazelnut flavours show through. Farmers for over 50 years, the Stewart family started making cheese in 2008 and soon created Anster. This milky, crumbly, fresh tasting cheese is aged for 8 weeks. 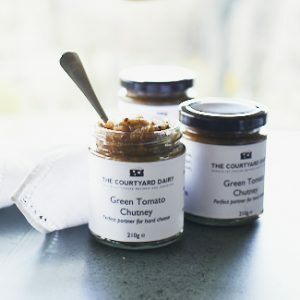 Jane Stewart supplies The Courtyard Dairy with special cheese made only using a ‘starter bacteria’ specified by The Courtyard Dairy, which gives the cheese a particularly milky, fresh flavour. A triple-cream cheese, a classic of the French Parisian style. Extra cream is added to the milk before making the cheese, ensuring it has a rich, delectable flavour and smooth texture. The Courtyard Dairy sells Finn at three-weeks old, when it still has a fresh lemony flavour to temper the richness. With the price of wholesale milk falling, the Davenports took a short course in cheese making and invented Britain’s first unpasteurised soft blue: Cote Hill Blue.